To celebrate Pullip’s 15th Anniversary a special event was held from April 21st through June 24th “Pullip 15th Anniversary ♥ ~ Starry Sky Dream ~ ” at the Yokohama Doll Museum. 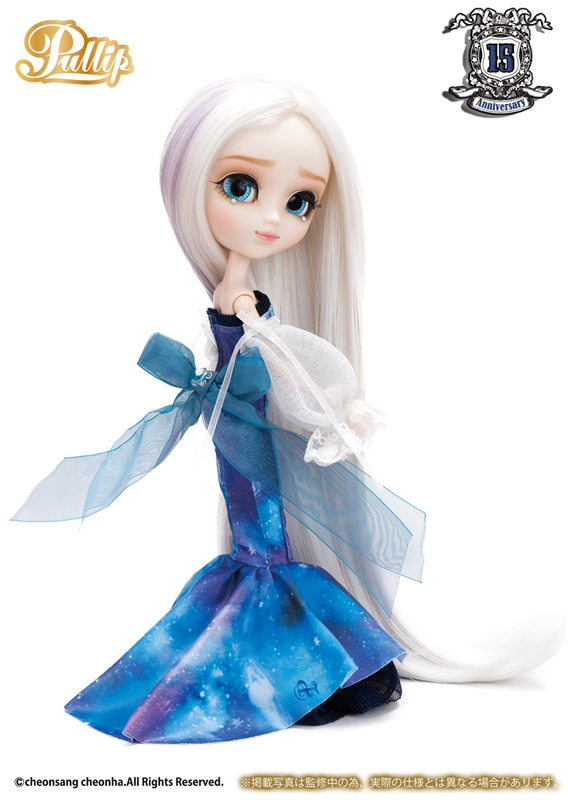 Pullip Etoile was the image model for this event and was released as a 15th Anniversary commerative model. 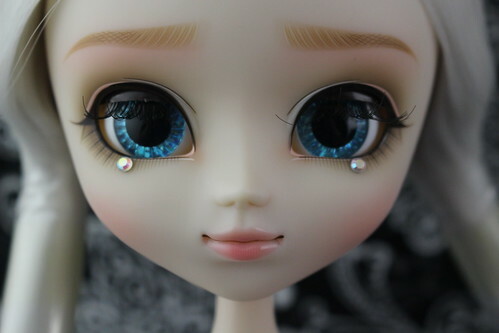 She was available for presale at the Yokohama doll event and then given a general limited release at the end of June. Feel Like So:I will let the voice of the Stars…Surely my wish will come true….Feel Like so! 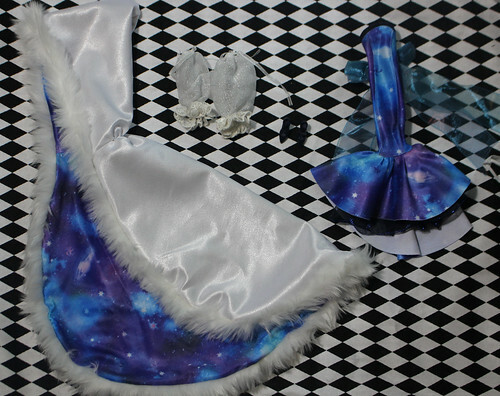 Wig: Long silvery blond wig with a few dark purple streaks. 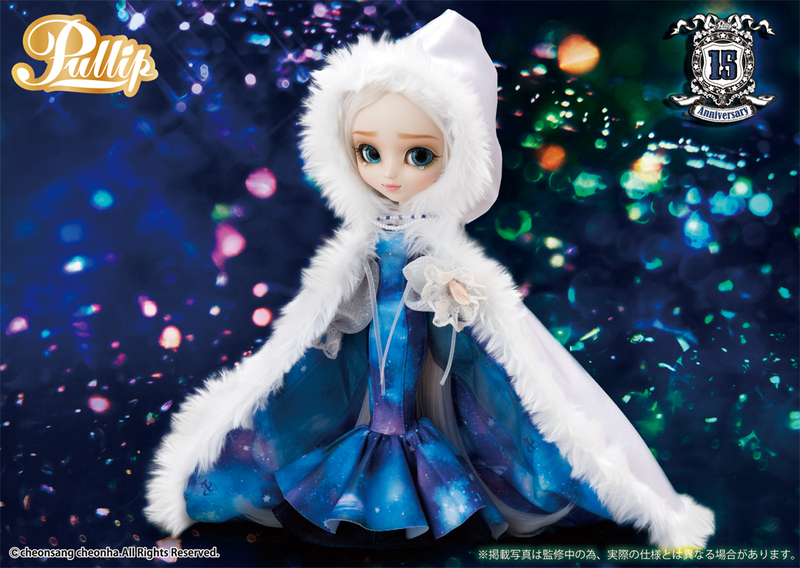 Stock: Pullip Etoile comes with a spectacular cloak, a dress with attached bow, high heels and removable sleeve elements. 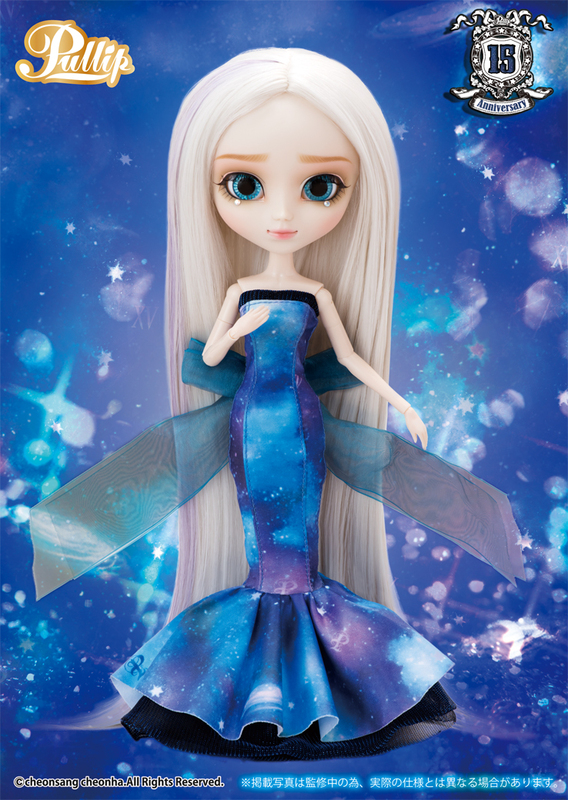 Special Notes: Released to celebrate Pullip’s fifteenth anniversary. Known Issues: The under-eye jewels are somewhat of an acquired taste . Clasp on cloak can break. 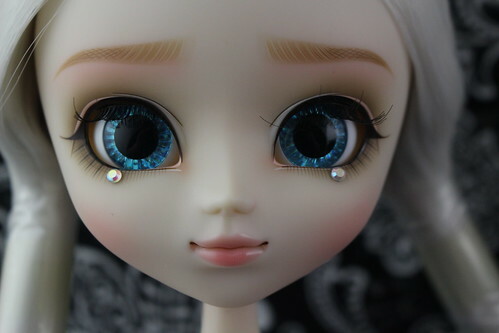 Similar Doll Recommendations: Pullip Ally, Dal Deneb & Taeyang Albireo.